Rose Wilks’ life is shattered when her newborn baby Joel is admitted to intensive care. Now, having spent nearly five years behind bars, Rose is just weeks away from freedom. Her probation officer Cate must decide whether Rose is remorseful for Luke’s death, or whether she remains a threat to society. As Cate is drawn in, she begins to doubt her own judgment. Where is the line between love and obsession? Can justice be served and, if so… by what means? Most thrillers are the literary equivalent of fast food for me, gratifying, quickly devoured and soon forgotten. 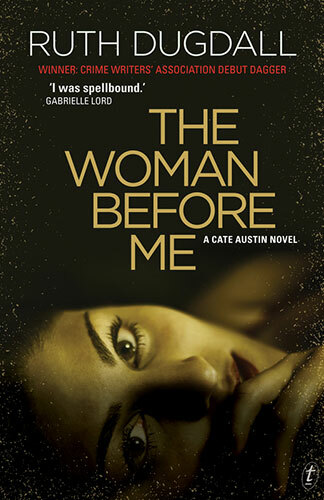 The Woman Before Me is far more satisfying, combining the tension of the best thrillers with credible characters who linger long after this heartbreaking story is done. A book you can’t stop thinking about long after you put it down. The Woman Before Me is the story of Rose Wilks who is serving a six year sentence for the manslaughter of four month old baby Luke. Luke’s mother, Emma, is the ex-wife of Rose’s partner Jason. ‘The woman you’d had before me,’ as Rose puts it. Rose endears herself to Emma in the maternity hospital where her own baby son, born at the same time as Luke but premature, is in intensive care. Rose’s obsession with Emma and Luke makes her the prime suspect when Luke dies in a house fire. A jury finds her guilty of manslaughter, despite Rose’s insistence that she loved Luke and would never harm him. Now Rose is the woman before Cate Austin, a probation officer newly assigned to Bishop’s Hill Prison and charged with the task of assessing whether to recommend Rose for parole after four years. Cate’s primary concern is to establish whether Rose feels remorse for what she’s done. But how can Rose be remorseful for a crime she says she didn’t commit? British author Ruth Dugdall worked for almost a decade in the criminal justice system as a probation officer. Even without reading that The Woman Before Me was ‘inspired by a true event’, Dugdall’s experience clearly informs the novel, not only in her depiction of prison culture, but in her vision of Rose’s childhood. Dugdall clearly understands how people’s choices and actions are shaped by their past. As the stuff of crime fiction, stories about the death of a baby or child tap into both primal fears – a parent’s dread of outliving their child – as well as beliefs we cling to about the moral order, even when we know them to be untrue. Notions about motherhood, for example, and the belief that no woman would willingly harm a child.